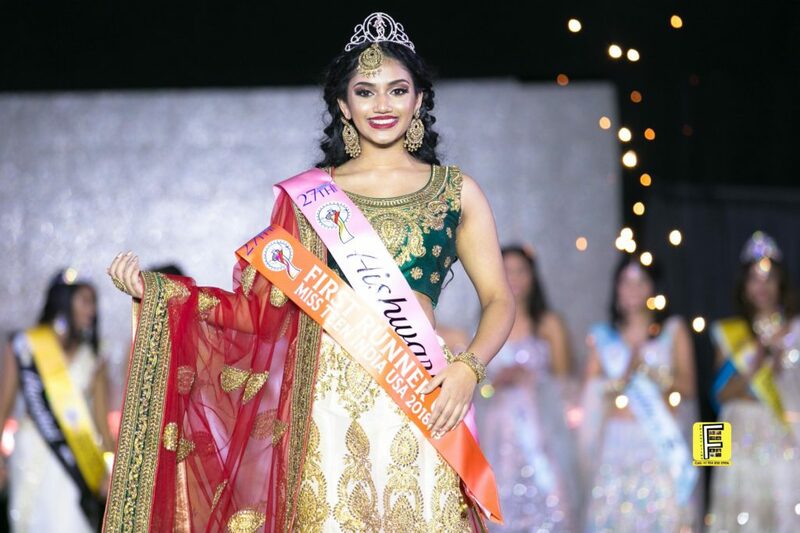 Fords, NJ, February 20, 2019: Kim Kumari from New Jersey was crowned Miss India USA 2019 and Vidhi Dave of Connecticut as Mrs. India USA at the 37th annual beauty and talent pageant organized by New York-based India Festival Committee, known as IFC. Esha Kode from New Jersey was crowned Miss Teen India USA. Two Georgia girls made it to the top three in the teen section. Aishwarya Vallem and Tanvi Gujral were declared first and second runner ups. “I am overwhelmed with the great response this year with a record number of 75 contestants representing 26 states from the United States,” said Dharmatma Saran, who co-chairs the event with his wife, Neelam. Miss India USA is the longest running Indian pageant outside of India. Miss Kumari, 18, who is planning to be Optometrist and help Third World Nation Children learn about the importance of eye care, also received the Best Talent Award for her performance of Lavni (Maharashtra folk dance) with a fusion of Bhangra. Mrs. India USA Dave, 31, holds a Data Scientist degree from Harvard University, and is a project manager with an IT company. Her hobbies include all kind of dancing including Bharatnatyam, Folk and Bollywood. She wants to be a social activist and become a voice for women’s empowerment. 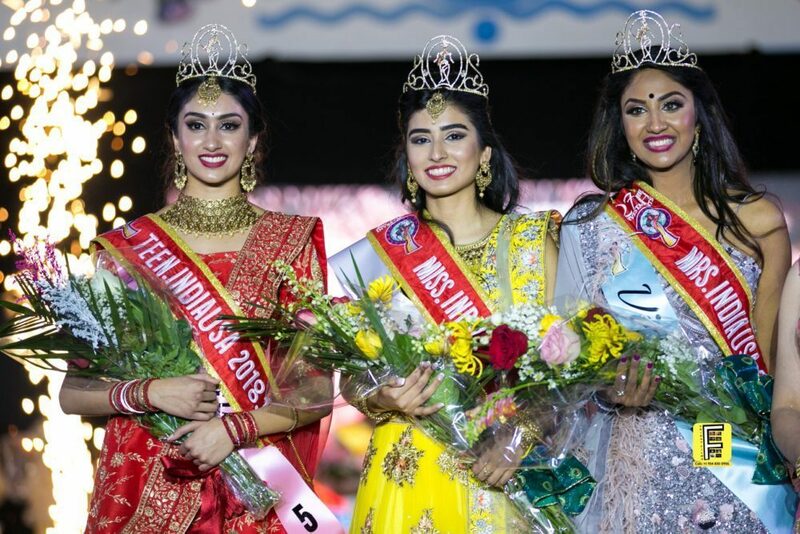 Miss Kode, 16, from New Jersey was crowned Miss Teen India USA who also received the Miss Talented Award. She aspires to be a fashion model and movie star and academically pursue to be a pediatric surgeon. Both Miss Kumari and Mrs. Dave will represent United States in the Miss and Mrs. India Worldwide 2019 pageant, which be held in Mumbai in September of this year. The three won the crowns out of 75 finalists from all over the United States. 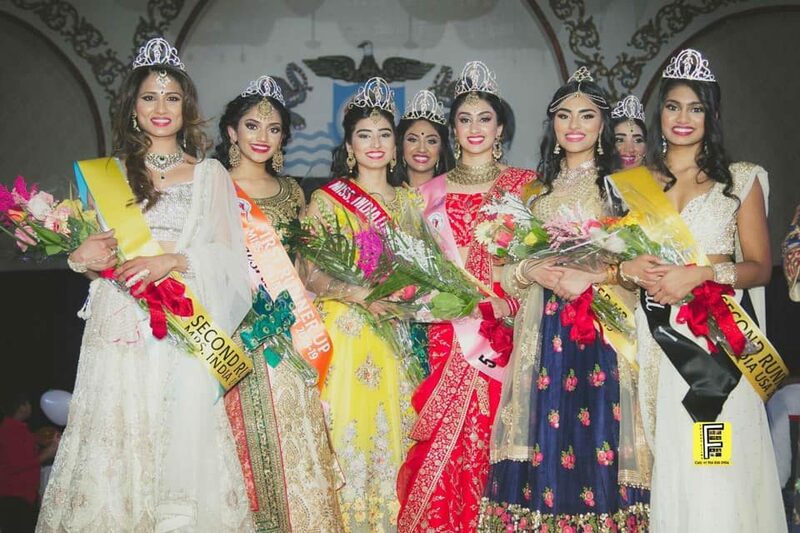 The annual pageant which also celebrated thirty seventh anniversary of Miss India USA was held in Fords, NJ, last weekend. In Miss section, Renuka Joseph from New York and Aanchal Shah from Florida were declared First and Second Runner Up, respectively. In Mrs. Segment, Amrita Chehil from Ohio and Sowmya Saxena also from Ohio were declared first and second runner up, respectively. In the Teen section, Aishwarya Vallem of Georgia and Tanvi Gujral also from Georgia were respectively declared first and second runner ups. The pageant started with a performance by all the contestants led by the outgoing queens Shree Saini and Kavita Malhotra Pattani and choreographed by Shilpa Jhurani. All contestants presented their best in the Indian and the Evening Gown segment after which the top ten were selected. The top ten contestants from Miss section then amazed the audience with their talent which included Bollywood dances, Indian classical and folk dances, singing and speech. Mr. Saran, chairman and founder of the pageant, presented Lifetime Achievement Award to Bollywood legend Meenakshi Seshadri for her contributions to Indian Motion Picture and performing arts. Ms. Seshadri also served as Chief Judge along with Bollywood Choreographer Sandip Soparrkar, Indian Latin Actor Prabhakar Sharan, Miss India Worldwide 2017 and a rising singing star Madhu Valli and Dr. Binod Sinha from New Jersey. IFC partnered with Ketto, a NGO based in Mumbai, and started by Bollywood actor Kunal Kapoor and Varun Sheth, to raise funds for PURNATA who works with stopping human trafficking. 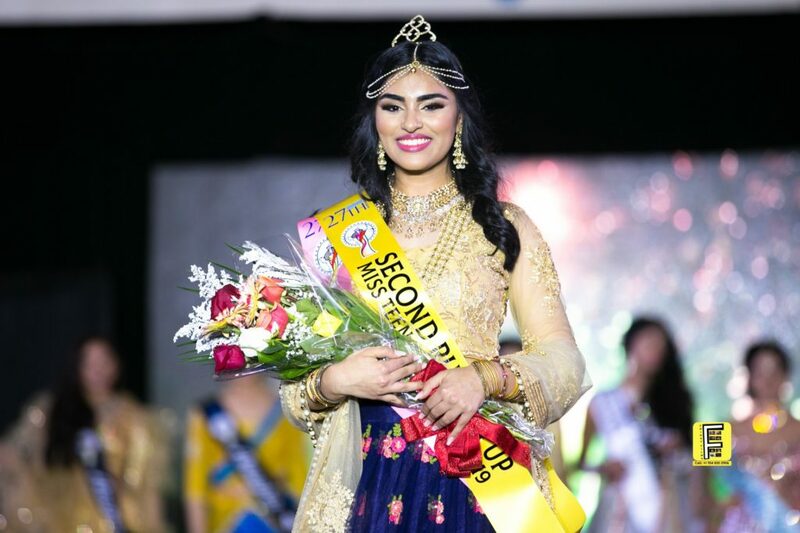 With the help of all Mrs. Contestants over $8,000 was raised with Mrs. Nikita Shah from Florida raising the maximum amount and was awarded as Miss Philanthropist. “We are very proud of the fact that we have been able to imbibe Indian values, tradition, culture and performing arts among Indian origin youth across the world with our motto bringing India closer,” said Mr. Saran. Nikkitasha Marwaha, Miss India Worldwide 2009, and Bollywood actor Anuradha Maharaj – former Miss India Trinidad, were emcees for the function. Nishi Bahl was the choreographer and was assisted by Shilpa Jhurani. This year’s pageant was presented by 27th Investments and supported by TV Asia and Royal Albert’s Palace. Tabulation was done by Nilesh Choksi CPA assisted by Abiya Malhotra.The crowning was followed by a lavish dinner and dance.